I love these roots. The ridges and the way they spider out in all directions. I took this at the Selby Botanical garden in Sarasota. The Banyan Tree in the pictures is over 100 years old and there doesn't seem to be two alike. They all grow in their own way. This one is the focal point of the Children's Rainforest Garden. I imagine it gets climbed on and over on a daily basis. I wish I had a picture that pulled back even further so you can get an idea how big this tree is. I was thinking of stopping by there while on vacation in a week or so. I'll put that on my list of things to do. Beautiful. 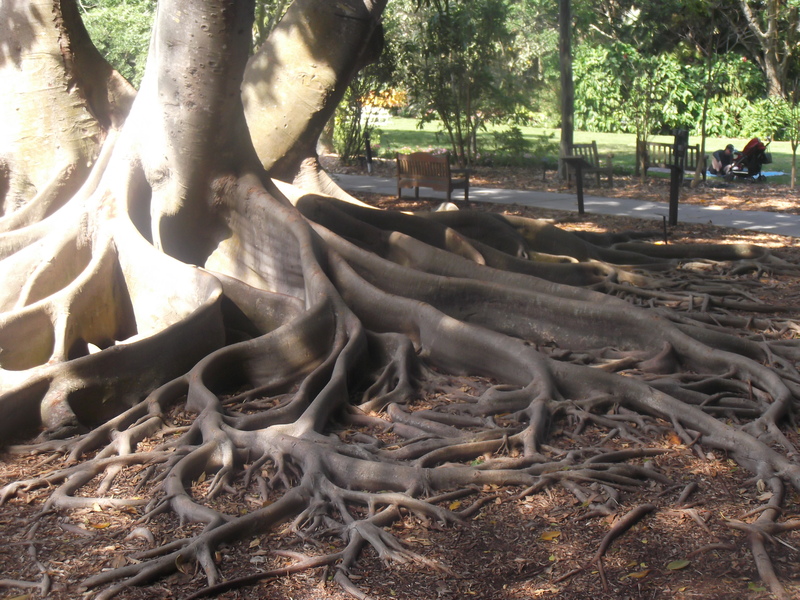 I remember there were trees at the Sacramento Zoo park with similar wandering roots. This reminds me of something from LOTR! I think it's like the silver tree pattern on Aragon's Gondor tunic. 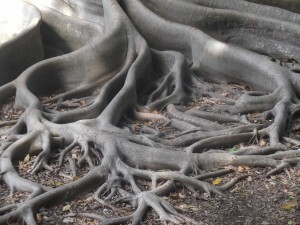 There's something really fascinating about those roots! Yes, I can see that. I'm hoping to visit the same garden next week. Maybe I can take a new picture and see how much the tree and its roots have changed. These are absolutely gorgeous. Really fascinating! Each one is so unique and in a children's garden they are a natural climbing element. What child can resist all those natural ridges?